The Chancellor George Osborne took us all by surprise when he announced an extra 3% Stamp Duty surcharge on second homes and Buy-to-let purchases in his Autumn Statement this week. The changes, due to come into force in April 2016 will significantly bump up the tax bill of those buying a second property – or adding to an existing portfolio. There’s no doubt that this policy represents the use of a fiscal measure to dampen what many see as an overpriced property market in areas of the UK such as London. By introducing this change, Osborne is using taxation to try and address the country’s ‘home ownership crisis’ – where people can’t afford to take their first steps on the housing ladder. By putting off these investors, there will be more opportunity for homebuyers to purchase available property, the thinking goes. Raising extra money for the treasury? According to the Chancellor, the new surcharge is also expected raise £1bn extra for the Treasury by 2021. However we, along with many other agents believe that this measure could be counterproductive in raising funds. Higher taxation at the top end of the market has significantly dampened the London property market this year, particularly for transactions of £1.5 million and above, meaning less money going into the coffers. 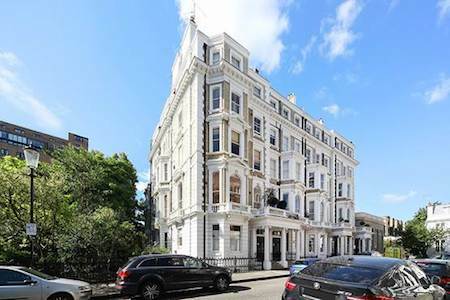 In many areas of Prime Central London, the market is at a virtual standstill and the extra 3% levy announced yesterday will further compound this stalemate with a whopping 15% of the purchase price being levied in Stamp Duty from April. Investors just can’t stomach paying such a large tax bill. The one area of the market not affected are Commercial property investors (such as pension funds) with more than 15 properties who are expected to be exempt from the new charges and will be able to take their pick of properties available, particularly at the higher end of the market. There’s no question now that the government is attacking the buy-to-let sector to dampen the London property market and make it easier for first time buyers to get on the housing ladder. Not only will investors have to pay extra Stamp Duty from April but they will also be hit by changes to Capital Gains Tax (CGT) rules. From April 2019, they will have to pay any CGT due within 30 days of selling a property, rather than waiting till the end of the tax year, as at present. In addition to this, landlords are already due to get a lower rate -20% – of tax relief on mortgage payments. These three measures combined make buy-to-let investments look increasingly unattractive and reduce overall demand in the market. Because the proposed changes do not come into effect until April next year, there is little doubt that some buy to let investors will bring forward their planned purchases to beat the deadline – including those looking to extract cash from their pensions to invest in property. So we may see more interest over the next few months in investment properties such as purpose built apartments. In reality we do not see this change turning off investors buying resale property, but expect certain price bands to be more attractive than others; for instance the £250,000 to £925,000 band becomes 8% – not the end of the world for an investor as you can still purchase a very lettable 500 – 600 square foot flat in a decent Notting Hill street, such as Lancaster Road/Leamington/Westbourne Park Road. These are close to the action and transport and come with good reliable income. 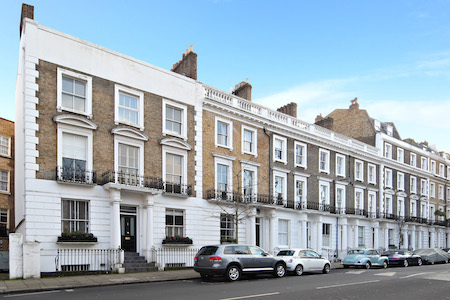 Where we do expect to see impact is 1st and 2nd floor maisonettes on sale for over £1,500,000 for example. These will now incur a 15% levy. 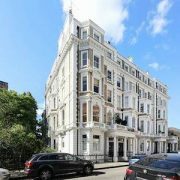 That’s a lot of money to part with and hence investors may look to buy say two flats in the £250,000 to £925,000 bracket and save money. On this basis we predict that outer areas to our core market such as Kensal Rise, Queens Park and Shepherds Bush will thrive where there is more bang for your buck. So in effect, where Prime Central London continues to suffer, the outer reaches will gain. Locally it is not going to help new build schemes in say Wood Lane. Private investor purchasers are the back bone of these developments. We suspect the government is confident the boost in the help-to-buy scheme will take up the slack but we’re not so sure, it doesn’t do to turn away big investors. Although we don’t expect these changes to directly affect the rental market in terms of the number of properties available, landlords may end up bumping up the rent to cover the extra costs over the next few years. For the sales market less investors means less demand and less demand could mean price stagnation. We will see.